Arranging a group outing or theatre trip? We can help by looking after the transport and if you like we will advise, plan, and make the arrangements for you. Ask for a quotation. Organising a wedding? 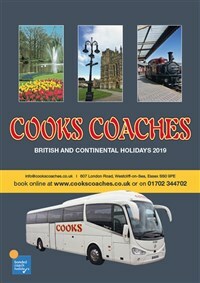 Why not hire a coach to get all your guests to the reception. We will be pleased to quote for coach hire, driver included, for any private function. Our staff will be happy to assist with any queries and can take your booking over the phone (01702 344702).